The first step of identifying if an individual would benefit from care and support from a Residential / Nursing Home is a needs assessment, provided by the individual’s Local Authority. If the person is eligible, the Local Authority will work with them to construct a Care Plan, which also advises on a choice of suitable Care Homes. Here at The Abbeyside Care Group, we encourage individuals and their families to visit our Homes, meet the Care Home Managers and to ask questions as we understand this can be a daunting time for all involved. The first point of contact in coordinating this and advising on availability of rooms is through our Admissions Manager; Kay Thomson. 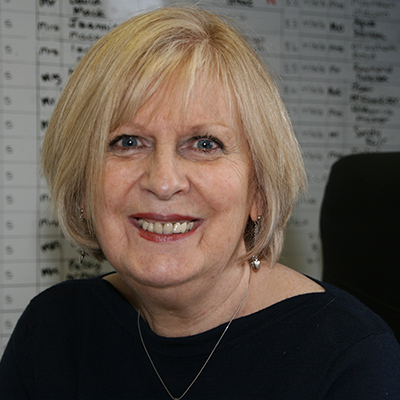 With a background in Social Work, Kay has a wealth of knowledge in assessing individual needs and suitability to our Homes and will be able to guide you through the admission process. Our Care Homes are also subject to regulation from the Care Inspectorate to ensure a high standard of provision of care; Please click here for a link to current reports on our homes. Hello, I am Kay Thomson, Admissions Manager for the four care homes within the Abbeyside Care Group. I first joined the company in 2003. At that time I was a mature social work student and worked during my holidays as Activities Co-ordinator at Abbeyvale Nursing Home. Once graduated I was a full-time Mental Health Social Worker and Council Officer for Adult Support & Protection for the Moray Council for nearly 9 years. I think it speaks volumes that I chose to return to work with the Abbeyside Care Group before I am sent out to pastures!! Please contact me if you wish to view any of our care homes or to discuss any aspect of residential care.